Well, the mystery is now over. 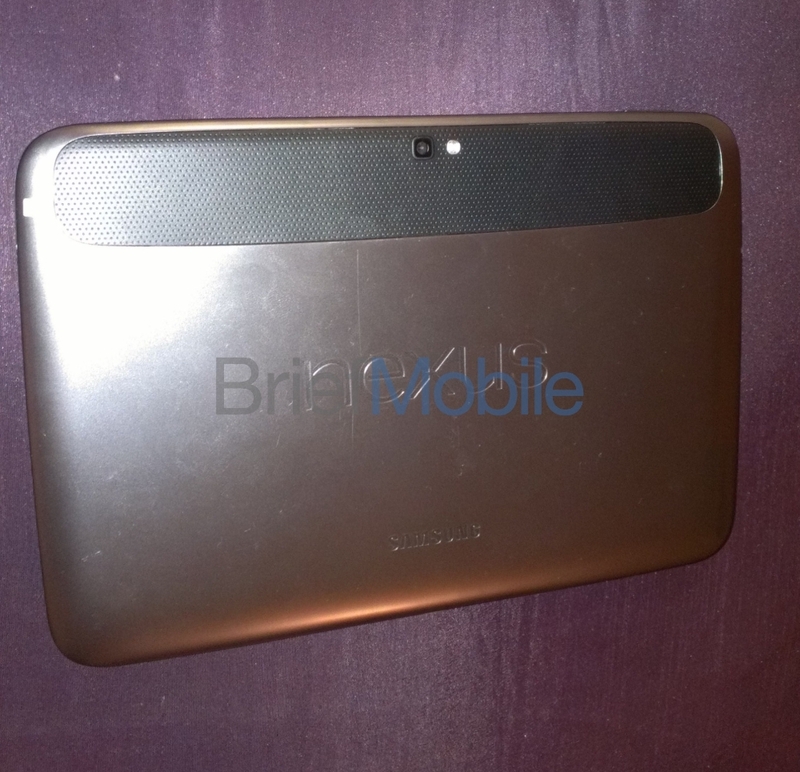 Brief Mobile just posted up a massive gallery of the Samsung Nexus 10, along with screenshots from the software its running, which as expected, is Android 4.2. It’s definitely the device that we saw posted up in a user manual yesterday, sports a super high-resolution display, front speakers, front and rear cameras, and looks extra-bubbly, which could mean it’ll feel great in hand. The specs are listed below, but it’s definitely running an Exynos 5 dual-core processor clocked at 1.7GHz, 2GB RAM, 16GB internal storage, NFC, and is WiFi only. On the software side of things, Android 4.2 is still Jelly Bean, but includes a bunch of new goodies, like multi-user support, a Quick Settings menu for toggling off WiFi or switching between users, new camera software (Thank the lord! ), and some other minor visual tweaks. Is this your next tablet? Is This a Picture of the "About" Screen for the Samsung Nexus 10? Confirms Multi-User Support is on the Way?